For each petal on the shamrock. For today and every day. The 80's...time can take the girl out of them, but time can't take the 80's out of the girl, so every now and then, I go back through the music. Have a great rest of your week/weekend. 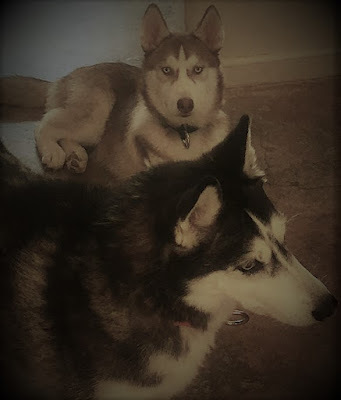 Just thought I'd share a picture of our oldest and youngest fur-babies, Lali (blk/wht) is 7 years old & Akuma (dk. red/wht) is 6 months old. Happy 2019! May the New Year bring you everything you're hoping for and more. Have a safe, fun filled New Year's Eve! Any of the stories contained herein whose characters resemble any person either living or dead is purely coincidental. This blog is for entertainment purposes only.